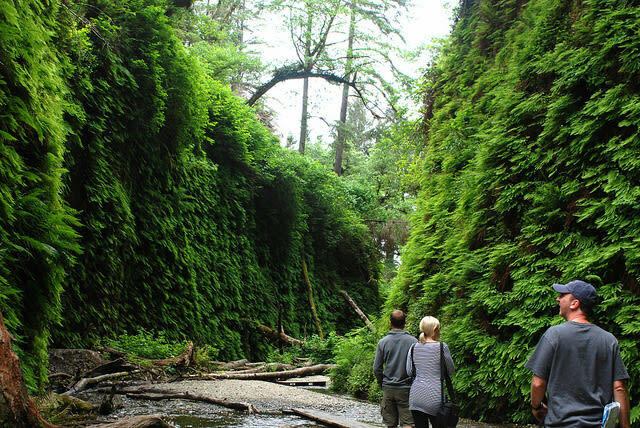 Your Redwood adventure begins in Redwood National & State Parks (RNSP) in Humboldt County, CA, home of the world's tallest trees. Nearly half of the remaining old growth redwoods are in this park system, including giants five stories taller than the Statue of Liberty. They can live to be 2,000 years old and grow to more than 375 feet tall. 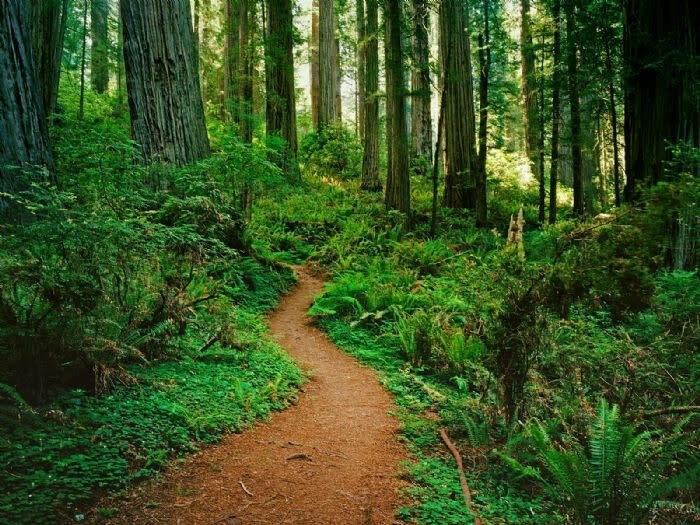 Located in northern Humboldt and throughout the coast of neighboring Del Norte County, three California state parks - Prairie Creek Redwoods (Humboldt County), Del Norte Coast Redwoods & Jedediah Smith Redwoods, (Del Norte County) and Redwood National Park comprise the Redwood National & State Park system. Together these parks are a World Heritage Site and International Biosphere Reserve, protecting resources cherished by citizens of many nations. Hwy 101 takes you to all the parks in this area (Jedediah Smith Redwoods is just a few miles east on Highway 199). 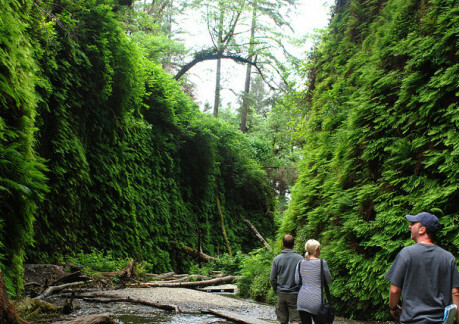 The central region of the parks near Prairie Creek Redwoods is only 45 minutes north of Eureka. 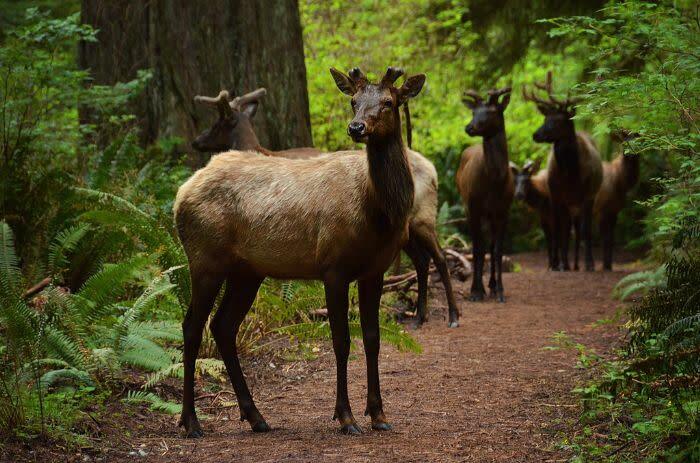 Visitors are invited to walk, Hike, Bike Ride, Camp & Horseback Ride on over 200 miles of trails that weave through a variety of environments, including prairies, old-growth redwood forests and beaches. 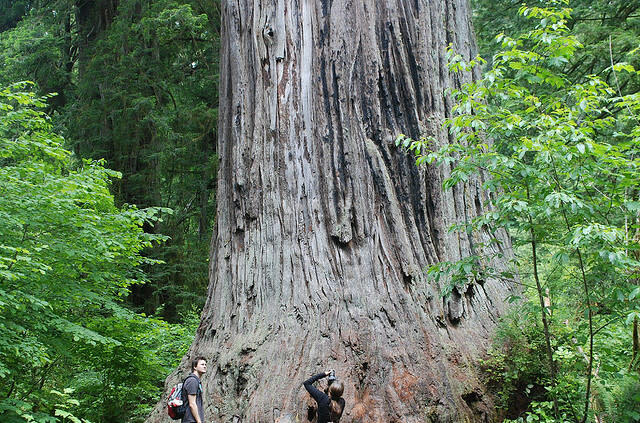 In late 2006, naturalists discovered a new world's tallest tree near the original Tall Tree, whose discovery led to the creation of Redwood National Park in the 1960s. Located in a remote grove, the new titlist is called Hyperion and stands 379.1 feet tall, nearly six stories taller than the Statue of Liberty. Besides Hyperion, Redwood National and State Parks harbor other trees of record height, including the tallest known grand fir, Sitka spruce and hemlock.